Wen is the founder of Greenyards, an enterprise which turns used cooking oil into eco soap and candles. The business started as a University Project and, following her graduation, Wen decided to turn it into a fully-fledged business. 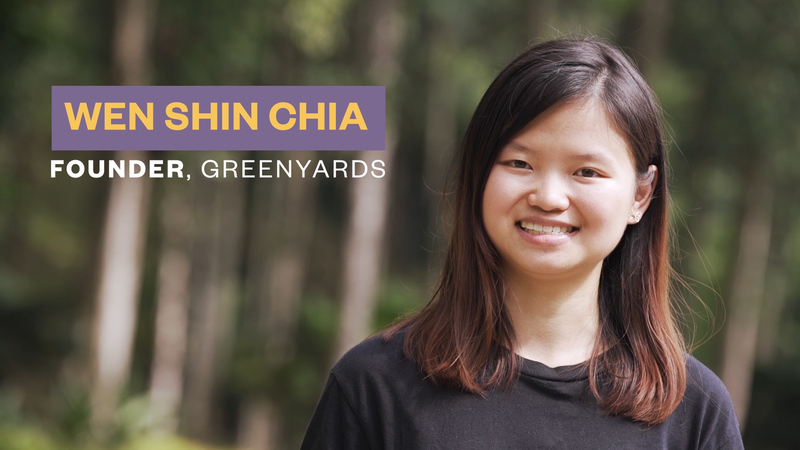 We spoke to Wen about the motivation behind Greenyards, as well as the impact she hopes to have on both human behaviours and the environment itself. What exactly is Greenyards and what motivated you to set it up? Greenyards is an impact river enterprise that is inspired to reduce water pollution by providing a proper platform for the community to recycle their used cooking oil. The used cooking oil collected is then turned into eco soap and candles. In Malaysia alone there are 230 million litres of oil being dumped into our waterways every year – and that’s just in Malaysia. This not only pollutes our water resources but also endangers marine life. I was a scout in secondary school and loved doing all the outdoor activity. Just recently I realised the place where I used to go camping and hiking is just no longer clean anymore. That’s why I started to pay more attention to environmental issues and decided to study environmental science for my university subject. How do you encourage people to get involved with Greenyards? We collect used oil from both restaurants and households. For households, we set up collection point which makes easier to recycle and for every 5kg of grease they return they receive a free soap bar in return. I think free soap is important to increase participation rate in our community. What do you think would happen without projects such as Greenyards? I think it’s important to look after our planet and environment because we only have one planet. It would be a disaster for our future generations if we didn’t. If we do not take care of the planet, I’m afraid that the current situation of pollution, global warming will get even worse, and in the worst case, we might face species extinctions. What do you hope to achieve long-term through Greenyards? I hope by engaging people in this grease recycling project we encourage them to take further action in recycling in other ways as well. I think one of biggest challenges we are facing right now is that many people are aware of the environmental situation but not many of them take action. I hope that everyone can start taking small steps towards helping the environment because only together we can create a greater impact.